On this week’s show: Relly Annett-Baker talks about good copywriting, Paul learns how to be a more efficient designer and we look at the ultimate website launch checklist. A live Boagworld show on Saturday 14th 6.30PM at the convention centre – With guests: Andy Budd, Daniel Burka, Joe Stump and Jeremy Keith. Please sign up on upcoming or follow via uStream. The Great British Boozeup on Monday 16th at 7:30PM at Shakespeare’s Pub – An evening of great beer and an all British soundtrack. Again please sign up on upcoming. Boagworld SXSW coverage – Instead of spamming both twitter and your RSS reader with content from SXSW, we are bring it all together on one handy streaming page. So whether you are actually attending SXSW or not, hopefully there will be something for everybody. Making a website live is a scary process. There is so much that could go wrong. However worse still, there is so much you could forget. When it comes to launching a website, you can’t afford to take chances. Well, BOX UK has been compiling a website launch checklist that takes some of the risk out of the process. This list includes everything from validating your HTML to announcing the launch on Twitter. If you are responsible for launching websites, then this post is a good starting point for your own checklist. Normally when I write about the news, I focus on specific posts that have appeared over the last week. However, instead I want to draw your attention to Andy Budd. In case you are one of the three people who haven’t heard of Mr Budd,let me give you a quick summary. Andy is a user experience specialist and founder of ClearLeft – an agency that does a mixture of web design work and training. 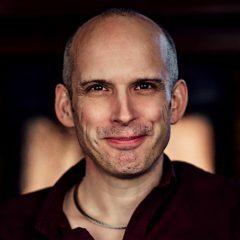 Andy is also author of CSS Mastery, an excellent book that I highly recommend. The reason I want to focus on Andy is because he has really started to churn out some superb posts recently. Although an accomplished author and speaker, Andy has written less on his blog over the past year or so. However, in this last week he has released two cracking posts. The first is entitled "Don’t treat your website like a commodity" and focuses on how we approach the market. It warns against trying to artificially create a need for your site. Instead he suggests shaping your site around user requirements. The second is entitled "Is your website like a leaky bucket?" and is in many ways a continuation of the previous post. In this one he warns against the mentality of continually driving new users to your site and instead encourages us to focus on retaining the users we already have. With these kinds of quality post coming from Andy again, now is the time to add him to your RSS reader (if you have not already). I am very much a jack of all trades and master of none. Others have accused me of ‘having enough knowledge to be dangerous’. In the world of web design, specialists are the order of the day. As a result I am beginning to feel obsolete. However, perhaps that is a false perception. The more each team member understood the business goals, the user needs, and the capabilities and limitations of the IT environment "a holistic view" the more successful the project. In contrast, the more each team member was "siloed" into knowing just their piece of the whole, the less successful the project. Now, the article does not apply that specialists are wrong. It merely points out that in order to build a successful website you need to see the bigger picture. This is certainly something we have begun to take on board at Headscape and we would encourage you to do the same. Paul :	OK, so joining me today is Relly Annett-Baker who is a copywriter over at poppycopy.co.uk. Hello Relly, how are you? Relly :	Hello, how are you? Paul :	So here we are, on the phone, after a false start. Relly :	I know, it’s good for an internet-based podcasting that we end up using the phone, but there you go. It’s reliable, I like it. Paul :	Yes, all that digital technology, it’s nothing but trouble. Good old analogue. Relly :	Yes, analogue beats everything. Paul :	OK, so we’ve got Relly on the show today to really talk us through some of the kind of fundamentals of copywriting, and copywriting specifically for the web and how we go about doing that. So, Relly, I guess the best thing to do is start with the absolute fundamentals here, and we’ll start by asking you what do you think makes good copy, how do you define good copy? Relly : Erm, good copy starts with good writing, which sounds, you know, really obvious, but erm, really, unless your spelling and your grammar and your sense is not there, you’re not going to write good copy. So, that’s, you know, the start of it, so if you’re going to write copy, make sure you can write prose well, to begin with. Erm, beyond that, it’s then about… The difference between copy and normal writing is that you’re selling something, essentially, whether it’s a service or, er, an actual product, or, erm, even, you know, just an entire, just an idea. Erm, so, it’s about benefits, rather than specifications. A specification is, you know, what you put into your brochure when someone wants to know whether a dishwasher is going to fit in their kitchen. But, the benefits is much more about the time they’re going to save and be able to spend with their family, using your fantastic, very quick, very efficient dishwasher. Erm, and the other thing that good copy should do, above everything else, is entice a reader to investigate. Especially on the web, your copy has to earn it’s place; it has to earn an extra second of eyeballing, because people just scan on, we get so much information thrown at us, especially on the web, that your copy need to be clear enough that it can be easily understood and also enticing enough that someone wants to stick with you and find out more, rather than flick on to the next thing they can look at. Paul :	Umm. I mean, you talked there about "especially on the web", what do see as being the, kind of, primary differences between writing for the web and any other medium? Relly :	I guess the biggest difference is that print mediums are fixed, that’s why we have different editions of books or magazines that come out, whereas the web is fluid, so, the difference between wikipedia and the Encyclopaedia Britannica, and there are pros and cons for both of those mediums, erm, that they use, but mainly that you can alter things as you go, nothing’s ever sort of set down as "right, that’s what we said and we can never go back and change it". So, erm, the other thing is the web is used primarily for people that skim-read a lot of information and use it to gather information before they decide to go on and request a brochure or find out more about what it is that you’re offering. It’s usually the first point of contact for people looking up, so it needs to make a good first impression, erm, and as such it also needs to communicate what your company is like, what sort of, you know, erm, formalities you have, erm, how big you are, how small you are, and how you like to operate and convey that, er, which print very rarely needs to do, it’s often, by then, erm, when a print brochure comes into someone’s hands, they’re already aware of your brand and they’ve got a better idea of who you are. Paul :	Mmm, I mean, there’s the kind of one issue that often comes up with the differences between the print, er, printed medium and the web, is that, you know, that because people scan, copy on the web should be kept short. I mean, is that something that you would agree with? I know that I’ve seen, you know, some articles written on A List Apart written before, that say "no it’s not about the length of the copy, it’s about how engaging it is". So, I’m quite interested in your opinion on that. Relly :	Yeah, I would very much agree, that it’s much more about, erm, engagement rather than length. Often with print, you get told you have, you know, space for 250 words and that’s how long your copy has to be. With the web, your copy can be as long as it needs to be, but that’s not necessarily as long as you’d like it to be. But as long as you can keep people engaged and keep them with an interest to keep on reading, get more information about you, and then, er, essentially they can read 5000 words about you, but if they don’t press the button at the bottom that says "get in contact" or "ring us" or "do something", then that’s kind of all for naught. What you want is to, erm, your copy to be long enough to persuade someone that they want to take the next step and get in contact with you and make a, you know, make that step towards doing business with you. Paul :	Mmm, I mean you talk, you’ve talked a lot about engagement already, how do you go about engaging people as you write copy? What kind of tricks and techniques are there, or is it probably a lot more complicated than that? Relly :	(laughs) Erm, I wouldn’t say it was the sort of thing where there’s, erm, there’s one way to do it; there are different, different, erm, styles and it really depends on your audience. Erm, often when we think of copy we think directly of advertising, and when we think of advertising we think of billboards. Billboards have, literally, two seconds to engage you and fix a message in your head. So, they have to have a certain amount of shock-value, and that’s usually accompanied by a large image that ties that together. The web is a very different beast in that respect, in that you’re making a one-on-one relationship; you don’t have to talk to everyone in the street, you can concentrate on who you think your best customer is. You do research about you customers and your users, and then you write for them, and you write in a way that’s going to, erm, keep them reading. Erm, so it comes down to a lot of research about who you’re writing for. Paul :	Mmm, that’s really interesting, you talk about writing for a specific person or, er, a specific group of people, because, it sounds then like you guys suffer from the same problem that designers would suffer from, when a client turns around and says ‘our target audience is the general public’, and they won’t narrow it down any. So, er, is it fair to say that you’ve got the same need to prioritize audiences that a designer would have? Relly :	Absolutely, you cannot write something that is going to engage everyone all the time, you have to know who your audience is. Erm, and that often involves doing, you know, research that, erm, the clients themselves don’t necessarily take on as part of the need for copy, but, erm, often the product tells you what sort of copy you need to write. If you’re, erm, writing about a teddy-bear shop, it’s quite obvious that you’re not generally writing for a, sort of, you know, middle-aged, managerial businessman; you’re writing for either, erm, older women who collect them, or younger children and therefore you’re writing for parents. But when you get into services, it gets a bit more complicated and so you have to do more research about the people who make contact currently on the website, if there is an existing website, or, you know, what business they’re going for and who actually makes them, makes that next step, you know, and who predominantly makes up their sales; those are the people you should be writing for. I often say to, erm, to people who are writing, who are starting to write their own copy, to have a style guide and to practice that – try writing a letter to your best customer; obviously, you don’t have to send it, but, you know, as if you were going to address them, face to face, what would you talk about and how would you introduce your product, and what specifically would they be interested in about it. And once you’ve practised writing about your products in that manner, it feels difficult ‘coz it feels like you’re cutting off 50% of your potential audience, but if you can target on, you know, the 10% that make up your actual, erm, sellable audience, then your erm, your returns will be much higher. Paul :	Mmm, very interesting. I like the idea of getting people to practice by writing a letter. I can imagine that works very well. Let’s talk about, umm, some of the common mistakes when it comes to copywriting, ‘coz let’s face it, you know, the majority of websites aren’t, er, produced and written by, you know, er, trained copy-writers, or even (Relly laughs)… they’re either written by, erm, the designer when he gets completely fed up with waiting for content from the client, or it’s written by the website owner. Umm, in either case, you know, they’re not obviously as experienced as you, so I’m interested in some of the really bad mistakes you see coming up again and again. Relly :	Erm, the obvious one is when people take their brochure copy and just move that straight across to their website and say: "that’ll do, that’s perfect, that’s exactly what we want." Paul :	OK, we we always say that, why is that wrong? Relly :	Why is it wrong? Because, erm, your brochure should really be for when people have made contact with you and have an interest in your product. So then you can, you can work on selling them, you can, you can work on, er, getting past any of the objections that they might have, through a longer length of copy when they’re ready to address those issues, when they’ve already seen the positives. So, erm, your website should be… As an example, if you take, erm, say a hotel that’s, erm, setting itself up for events, or weddings, what a bride wants to see when she goes to the website is she obviously wants to see pictures of a lovely wedding, but she wants to know how the day is going to work for her, and why it’s going to be her, you know, perfect day. A bit further along the line, she wants to know how much glass hire is and how much it costs, you know, to have rooms in the hotel and she can be really direct in those. But, initially that first bit of copy needs to be one simple paragraph explaining why your hotel is absolutely perfect for her wedding day, as far as she’s concerned, the biggest day on the planet, and you have to make her feel she’s the most important person. Once she’s, once she feels like she wants to make the contact and book, the brochure can explain in far more detail what the liability insurance is, what the room size is; she needs to have a rough idea of these things, but they don’t need to be laid out for her, then and there. Paul :	Mmm, are there any other mistakes that you see quite a lot? Relly :	Yeah, people don’t revise or keep on top of their copy; so they kind of treat it like it’s been printed, and that’s it, they can’t ever go back and change it, or they feel they can only change it if they also change the design. Relly :	We’re starting to get past that a little now, erm, companies are getting a bit more used to the idea of blogs, and so they can keep updated in that respect. Erm, other mistakes people often end up writing for their client or their boss, rather than the actual audience, which goes back to, you know, what we were saying before, which is, you know, that’s a difficult one, everyone faces that where, you know, their boss says: "I think it should be like this", and if you know better, that’s, you know, that’s you having to then lay out why I think this works better because. Erm, but don’t, you know, be afraid to make the point that you are writing for the audience, the people that are going to buy and here are their needs and here are their requests, and this is how the copy has addressed that. Relly :	And, I guess the other thing is that, erm, people (laughs), people who, er, don’t write very often, they fall into two categories, erm, especially with designers, this is so true, that designers either did art at school, because they wanted to get out of essay writing (Paul laughs) and therefore they haven’t written anything for a long time, and so they’re a bit rusty and they kind of need to maybe practice a bit before they lay something out and, you know, maybe hand it onto someone else and say: ‘does this make sense to you? Can you, can you read this out of context and understand, you know, where I’m going with it?’ Erm, I often talk about, erm, people using, er, text readers for the same thing; you know, I know they’re used in website design to check, erm, accessibility, that someone, you know is, er, able to have the text read to them and understand what’s going on they should be able to navigate around the website. It goes perfectly well for copy as well, copy is very much part of your navigation: it’s the information you’re imparting to that person. So that’s always a good way that, you know, if someone, if someone can read or be read the copy out of context and they get, you know, 70%, 80% of the idea of what’s going on, then you’re on a, you know, good track that way. Often you find that people, the other thing that happens is that people start writing and they get so excited about the fact that they’re writing, the prose just flows from them, like they were actually Lord Tennyson reincarnate (Paul laughs) and they come to the end and they’ve built up to a massive, dramatic conclusion (Paul laughs) about why their product is the best thing since sliced bread and actually that dramatic conclusion generally needs to be the opening statement, because it’s what catches hold of people and gets them to read onwards. Relly :	With the copy. I keep a swipe file, which is basically things that I take from magazines, from newspapers, from other advertising literature, from books, from articles, that I think has been written really well and I take it away and I say, I kind of take it apart and say: "what about that headline functions so well?" and "what about, what is it about this piece that talks so well to the audience that it’s that it’s going for?" that, erm, that’s especially good if, even if you’re not the target audience and you’re still engaged enough to read it; that’s, you know, often quite fascinating. One of my favourite places to, erm, take, er, hints and tips from, of all places, is the Daily Mail and the Sun (Paul laughs), believe it or not, because they are so good at putting across an emotive idea in very few words, there is nothing like a Sun headline for giving you a kick in the pants, for feeling, you know, and often you read it and you find yourself, erm, agreeing with the statement, out of hand, before you pull yourself back and go: "now hang on, no, hang on this is the Sun, I’m going to read this story first before I make up my own mind." (Paul chuckles) But, you know, they’re very good at doing that, and, erm, I mean it’s not ideal for everyone’s website, obviously, but to have the ability to do that, to take just a few words and make an emotive statement is really useful in copy, because what you want people to do, more than anything else, is feel that they must do something about getting hold of your product, they must find out more, they must buy it then and there, they must, you know, whatever is appropriate, you know, you’re not going to find many people who are going to one-click buy a conservatory so that’s not necessarily, you know, going to work so well, but you might well be able to get them to arrange to have someone to come round and measure for a conservatory and that’s the next step to getting them to do what you want them to do. Copy is all about behavioural management, essentially. Paul :	Yeah. I mean, it’s got a lot in common with design, you know. As I hear you talk, there’s so much overlap. I mean, but what’s so fascinating is that, you know, a client will spend a fortune on design and they will spend a lot of time and effort and forever express an opinion over look and feel and design, yet they don’t seem to want to invest money in writing good copy and they’ll say things like, you know: "content is king", yet they, there is this perception, I don’t know, is it a perception that they can do it themselves? Why isn’t it? Why is it so hard? Relly :	I don’t know. We, we poor copywriters, we are the Cinderella’s stepsisters of the web design world. Er, it’s especially true in web design, more than anywhere else that I’ve seen, erm, probably because the medium is that much newer, that, and it sprung out of interactivity, as opposed to, erm, books are about staid reading and advertising sprung from that; television and radio sit somewhere in the middle, but essentially it’s a written script, sometimes with pictures added. The web is a different medium altogether, it’s much more about doing, interacting and as more and more social media stuff springs up, you know, that’s more and more true and don’t get me started on the amount of companies that have got terrible facebook pages and so on. Erm, but again, it is that belief that it can be done by yourself; that’s not necessarily, you know, not true, you know, people can write their own copy, in the same way I can design a website – it might look like a dog’s dinner when I’m done, but I can do it. It depends, I can, I can start off, to turn it around, I know enough, I have enough of a little, you know, little amount of dangerous knowledge, to be able to put a blog up, design my own blog header in Photoshop and upload it and be able to update my blog day to day, but that doesn’t mean to say that I’m necessarily ready to design a site for a, you know, big multinational company that wants to sell direct from its website to multiple places around the world. The same goes with, erm, with copywriters. I think partly the reason that we get so little investment put in at the beginning of projects is that, erm, we’ve come to see creating a website as a visual thing, clients very often ask about how a site looks and they don’t care so much about how it works underneath, providing it works, which is the equivalent of asking a baker to bake an amazing cake and you get it delivered and it’s four tiers and it looks fantastic and it’s got these, you know, subtly crafted sugar-craft dancers on top and flowers trailing all around it and you cut it in half and it’s sawdust. And, you know, the copy very much does come under the sawdust category, we kind of get a bit left behind because everyone can write a bit and it doesn’t take that much, erm, knowledge to at least lay out something that makes sense, erm, I think it does kind of get neglected; erm, I often sort of say to people that, you know, that the copy is as much part of the navigation and the function of the site as anything you do with the menu buttons or whatever else, erm, and what we really need to do is to have designers… there are some designers who have the attitude that whatever happens after sign-off is no longer their concern, so the amount of sales that happen, whatever else, that’s not their problem, they’ve done their bit, they’ve designed a site, it works and it goes out. Whereas, really what we, what you’re then doing is designing for your client, erm, a very pretty picture-book of all their products, but that’s not necessarily a sales tool, so we need to look now much more at, erm, at websites as sales tools for companies and to people, you know. Paul :	So, I mean, where’s the line here, mind, because, umm, you know, I can imagine website owners sitting listening to this now going: "well, I mean she seems to be suggesting that we get a copywriter to write absolutely everything on our site", umm, but, you know, when you get into the realms of, you know, corporate blogs and things like that, I mean it’s going to cost a fortune, is it not, to get a copywriter involved at every stage. Where should a copywriter be involved, where shouldn’t they be involved, how do they fit in to the process? Relly :	Right, that’s a really good question. I don’t believe for one minute that you need to have, unless you have a site that need constant updating, you don’t need to have a content editor on-site all the time; in the same way that you don’t need to have a website designer on-site all the time, unless your website is constantly evolving. If you have a web team and your content changes a lot, then you might well want to think about getting a content editor in. Relly :	If you run an online shop and you change a few products a week, and you might introduce a few new products, er, via an email marketing, whatever, you might want to consider how much of that you want to give to a copywriter. If you’re updating a company blog and you’re sending, occasionally send out, erm, emails to old clients and invitations to new clients, you probably don’t need to get a copywriter, unless you feel it’s a better use of your time, and I think that it is the division a lot of the time, is that if you’re, if something really needs to sell, if it needs to make an impact, erm, I guess you wouldn’t find an advertising agency going ahead and taking on a billboard campaign, without getting a copywriter in, or their own in-house copywriter; it’s not going to be the managing director going: "well, we’ve got the artist to do this fantastic picture and we’ve bought all the advertising space, we’ve got a whole campaign rolled out, so I’d better think what we’re going to put on the, er, on the advert then." It just doesn’t work like that and that’s exactly, that should be exactly the same with your website. If you’re looking to launch a new campaign, if you’re selling something specifically, if it’s going to make a big difference to the way your company’s going to go, you want to get professionals in, and in this case it would probably be a copywriter would be the professional that you require. Erm, you know, you probably wouldn’t want to go and fiddle with your own plumbing, unless you have a very deep interest in DIY. It’s the same thing. Erm, but on the flipside of that, is that it’s, copywriting isn’t some arcane art that people can’t learn, in the same way that most people started learning web-design by sitting down in front of a computer, you know, bashing something out in Frontpage and going: "well, that kind of works", and then four years later cringing at what they’ve done. I think it’s very much the same for me, when I started writing copy and content, I was a radio producer and I have been responsible for some the worst chart hits in history (Paul laughs), you know, ascending to the chart because of the copy that I wrote, you know, to persuade people to buy the singles, you know, the competitions that we came up with, you know; it was my job, it paid my bills, buy I can’t say, you know, getting the cheeky girls to number 1 is my proudest achievement. Relly :	And I was at least partly responsible for that (Paul laughs). I have to take my part in history on that one. Erm, you know, again it’s that thing, you know, anyone can go back and do it if they want to learn, you know, how to write copy. Just be aware that your first few attempts probably want someone to look through, but don’t be disheartened if you get to the end of it and think: "that’s not really what I wanted." You can always go halfway with a copywriter; I run workshops where I go into companies, talk to them about what their needs are, help them come up with a style guide, so they can say: ‘we’re going to write, it’s going from really simple stuff, like we’re going to have abbreviations and we’re not going to us the Oxford comma (Paul laughs), if that’s of any interest to any of you punctuation geeks out there, erm, right through to these are the sorts of people we’re addressing, these are there interests so we’re going to work these into this piece of copy, and, you know, I can then work with your staff members who will continue to write and then you’ve got, you know, a trained battalion of copywriters in-house ready to write things for you, on your behalf. And that’s often, you know, I often say to people that it’s not impossible to write copy, it just takes time to do it. As with anything else, it takes time to code a website well, properly and so that you can make a job out of it, it’s exactly the same with copywriting, but nothing stops you from building those skills up as you go. Paul :	That’s brilliant. That’s absolutely brilliant. It’s really good to hear a copywriter’s perspective on all of this stuff, because I don’t feel there’s enough really said about that part of the website and it’s been great to have you in on the show, Relly, and I really appreciate you taking the time. Relly :	Thank you very much. Paul :	So, thank you very much. Thanks goes to Simon Douglas for transcribing this interview. Adam : With the economy tanking and client’s squeezing budget, can you give us any tips about being more efficient so we can turn around projects quicker.